Back in 2000, I had the pleasure of working with the legendary guitarist Ronnie Montrose at Northern Virginia's State Theater. I was no stranger to Ronnie's music; from his stint with Van Morrison to his work with the late, great drummer Tony Williams. As the show progressed, I found myself mesmerized by his elegant musicianship, fluid playing and incendiary style. At one point during the show, I was so enthralled that I forgot to turn up one of his guitars between songs. Ronnie whispered into the microphone and said with a smile, "Oh Doc?…" In a flash, I faded him up and once again bathed the theater in his gorgeous tones. Ronnie was a gentleman, an inspiration and one of the greatest guitarists to ever come from San Francisco. 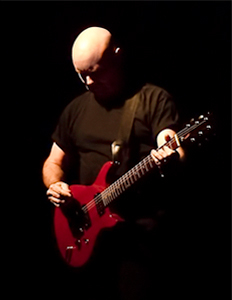 "A few months ago, we held a surprise party for Ronnie Montrose's 64th birthday. He gave an impromptu speech, and told us that after a long life, filled with joy and hardship, he didn't take any of our love for granted. He passed today. He'd battled cancer, and staved off old age for long enough. And true to form, he chose his own exit the way he chose his own life. We miss him already, but we're glad to have shared with him while we could…"
Music legends aren't born easily. It has to be just the right band, with just the right sound, coming along at just the right time. That band was Montrose, and that sound was heavy, melodic, no-holds-barred rock and roll. The critics called them "a scorching outfit…" "incredibly impressive…" "part [Jeff] Beck, part Led Zeppelin, and three-fourths nitroglycerin…" "sheer rock and roll ecstasy." The original Montrose remains the stuff of rock and roll legend, the ultimate stateside power trio with vocals. The songs are a virtual greatest hits of American hard rock: "Rock the Nation," "Bad Motor Scooter," "Space Station #5," "I Got the Fire," "Jump On It," and the immortal "Rock Candy." The fans have been begging for more ever since. But Ronnie Montrose has always followed his heart. Ever anxious to take his music to the next level, in 1979 he founded the trailblazing band Gamma, a group whose trio of ahead-of-their-time albums were an explosion of guitar and synthesizer pyrotechnics anchored by a bluesy edge. Between and beyond these band forays, Montrose the player devoted himself to exploring instrumental guitar music on landmark albums like Open Fire and The Speed of Sound. Fans periodically clamored for another taste of the original Montrose power trio format, but he wouldn't revisit Montrose – that huge, heavy sound; those rich, pealing riffs -- until the time came when he could do it with total conviction. Indeed, Montrose did return, albeit briefly, "full force, playing the tunes that rocked a nation with heart-thumping, foot-stomping, fist-pumping energy…"
After that show nearly twelve years ago, I apologized to Ronnie for my brief lapse. He laughed of course and told me that if his playing made me agog, he was "doin' something right…"
I learned a lot from Ronnie that day; about sound, mixing guitars, (Ronnie was the first guitarist I'd ever seen use a complete. rack-mounted mixer system, with JBL speakers to die for); what it was like playing with Tony Williams, and how much he lamented Tony's passing. Ronnie is truly now among the pantheon of great musicians; we'll not see his like again.